Another DIY solar stove project for the forthcoming weekend. After the success of Kyoto Box, folks all over the world are keen to experiment with ‘why-didn’t-I-think of-this’ kind of solar powered projects. The latest is a solar powered stove made out of 100% recycled materials by an Instructable user, desertdog. Blending two vital green essentials, the solar power and the recycled material, the designer intended to churn out a make-it-yourself product that could be grid-free and cost-free too. 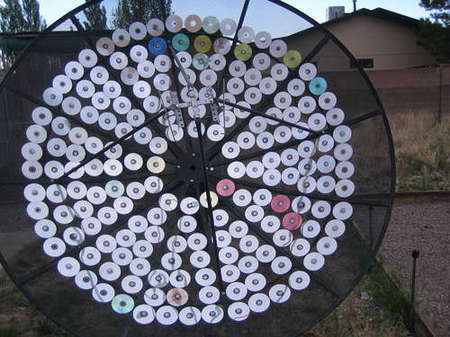 All that is needed is a discarded 62 inch satellite dish, few used CDs and some other stuff that is otherwise lying in your garage or backyard.